Avida Towers Altura is a two-tower high-rise condominium project located within South Park District. It is part of a 6.6 hectare mixed-use development that will integrate a mix of residential condominiums, business centers, retail spaces, and transport terminal all in one place, to complement the community for an ideal live-work-play environment. Featuring a total of 1,054 units including Studio, 1-Bedroom, and 2-Bedroom, each unit is masterfully designed to have larger windows compared with those of typical condo living. This assures that each unit is well ventilated and has own share of the cold breeze, as well as the magnificent view of the city. The living room, kitchen, and bedrooms are all perfectly spaced to give the owner sufficient room for their own design and decorations. The amenity area is located at the 3rd podium level shared by Tower 1 & 2. It includes an active zone (children playground), multi-use clubhouse, swimming pool for adult and kids, outdoor gym equipment, and jogging path. Avida Towers Altura also boasts of South Park Mall, a mall of its own which will be packed with dozens of retail and dining choices, a supermarket, departmental store, and 24/7 entertainment. Like all other Avida Land’s condominium projects across the country, Avida Towers Altura complies well with the “Five Condo Must-Haves” standards, i.e. free-flowing air and sufficient natural light, fewer units on each floor to give more personal space, user-friendly and sensible amenities, sufficient emergency power to provide stand-by electricity, and easy payment terms that offers a stretched payment scheme. Avida Towers Altura is located in the lower density residential environment of the South Park District, along National Road, Barangay, Alabang, Muntinlupa City. Situated at the quieter side of the progressive Muntinlupa City, it has close proximity to schools (Pedro E. Diaz High School, Lakewood School of Alabang, De La Salle Santiago Zobel School, and San Beda College Alabang), hospitals (Asian Hospital and Medical Center & Ospital Ng Muntinlupa), places of worship, retail areas, malls, dining places, services, and other attractions. Various means of public transports are readily available as it is near South Station Transport Terminal, MMDA Bus Terminal, and PNR Alabang Station. Having a home in the middle of the metro can sometimes be disadvantageous for your lifestyle. Sure, you might be closer to the places your need to be but you also have to contend with other important factors. Your current home might be lacking in space, your community isn’t safe anymore, or your area is more prone to floods, among others. If this is the case, it’s only logical to find a new place for you and your loved ones right away. This new home should be able to provide a certain degree of convenience, comfort, and safety in every aspect of your life. Fortunately, this is what Avida Towers Altura is offering you. Developed by Avida Land, this 6.6 hectare condominium property has 1,054 residential units that reflect what a southern lifestyle has in store for you. Each condominium unit is complete with the basic necessities, like finished bathrooms, kitchens, and enough floor space for your preferences. Plus, each studio, one bedroom, or two bedroom unit is designed with large windows, placing all your ventilation-related concerns at ease. Every time you take a look outside, you can be assured of a view that will take your breath away. Whether you’re a young bachelor making a name in the office, or a couple looking to start a family, there’s a unit that fits your needs here in Avida Towers Altura. And speaking of an ideal southern lifestyle, your home here in this property will surely be upgraded. That’s because Avida Towers Altura is situated in the South Park District of Alabang, Muntinlupa. This particular area offers a highly-urbanized setting, complete with all the establishments you need to go to, without sacrificing the comfort and ambiance of a true home. At the same time, your new home here will still be in close proximity to the important places in the metro, such as Makati and Taguig. There’s no need to change your entire routine just because you’re moving to a greater home here. In fact, your expected travel time to various places in the big city will be shorter than what you have anticipated. And there is a public transportation terminal near this property to make sure your commute will be as smooth as possible. With your residence in Avida Towers Altura, every aspect of your daily lifestyle won’t take a hit. It’s only going to get better with each day that passes. You no longer need to waste all of your time in traffic too when you choose to move here. Avida Towers Altura is surrounded by a wide variety of commercial establishments and other important places so you need not go far for the things you need. With just a couple of minutes, you can find yourself having a great dinner in that restaurant you’ve always wanted to visit or watch a blockbuster film in Alabang Town Center or Festival Mall. These two malls offer a lot of opportunities to have fun, relax, or shop for you and your family. And it only gets better from there because Avida Towers Altura is also surrounded by several schools, all of which promise a brighter future for your kids. With this close distance to your home, you can be present during all the important moments of your child. Your health is of utmost importance and living near a hospital will surely be beneficial for you. That’s great because this property is just a few minutes away from world-class medical institutions that can resolve any health problem you may have. Leaving your home will definitely be a sure option when you move in to Avida Towers Altura. There are so many amenities available for your use anytime. These amenities all provide convenience, comfort, relaxation, and fun without making you spend so much money or take too much of your precious time. And with these amenities just a couple steps away from your residential unit, you can plan a whole day of exciting activities without any trouble. A home represents all of our dreams and the hard work behind so many sleepless nights. It’s only fitting to reward yourselves with a residence where you’ll lack nothing and gain everything. This home should serve all of your basic needs and provide benefits you can’t get anywhere else in the metro. If this is what you’re after, a home in Avida Towers Altura is what you’re seeking. With so many residential unit models to choose from, a community where your every need is taken care of, and a location that’s easily accessible to, you won’t find a greater home anywhere else. Looking for online chat agents? We recommend Help Desk 24 7. 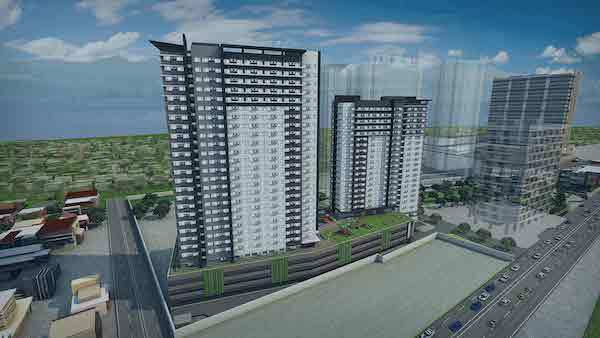 Avida Land Avida Towers Altura in Muntinlupa City, Philippines is a premier Condo project available for sale. If you're looking to rent or purchase Avida Towers Altura, then check here first. We have full details of Avida Towers Altura updated regularly as well as everything you need to know about the availing and booking process, broken down into stages that includes selecting a unit, choosing a payment plan and buying your dream home at the right price. For price list, free site tripping or showroom visit, personalized service, model house, unit plans, floor plans, payment terms, CHAT LIVE with an agent 24x7. We are Remax Perfect Homes. Always only buy from PRC licensed Real Estate Brokers and Agents.